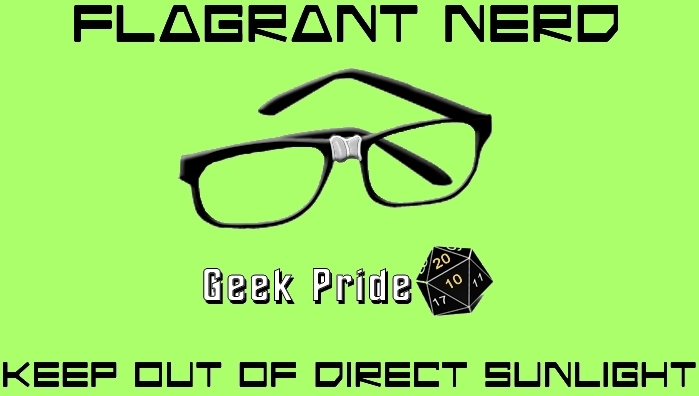 Number One way to know you're a nerd/geed: You have a blog and/or website dedicated to being a nerd or a geek. You look at a movie trailer and think, "I have that font." You set up an automatic rerouting of your e-mail to your pager. When you realize you spent more money last year on little plastic space men than you did on your girlfriend/wife. You get sudden attacks of bittersweet nostalgic feelings when thinking about your long-lost old Commodore64, Sinclair ZX-81, TRS-80 (or whatever hardware you were raised on), and use large amounts of money/time trying to track one down. You have more e-mail addresses than you do pairs of shoes. You get depressed when you get less than 10 e-mail msgs a day. If you paid $6000 for your computer and $500 for your car. Someone mentions the Q Continuum, and you know what that means. Everyone in the neighborhood brings you (to) their computers to figure out what is wrong. You arrange to get e-mail access no matter where you go. You walk past a Con and people know who you are. You have a definite philosophy of stacking wood for fires. You hear the word "Scuzzy" and the first thing you think of is not an adjective. You write web pages about your web pages. Your favorite part of Geometry was proving theorems. You do your best work after 11 p.m.
You work in a building where you need a badge to move between floors. Not only is your computer in the center of your room, it's set up so as allow 'netting from your couch, as well as your desk chair. You carry a 64 gb (or greater) USB drive to and from work, possibly more than one. You'd rather communicate with people via e-mail, text messaging, instant message, or Twitter, then face to face, because "it's just easier that way." If you've ever used "Joshua" as a password and thought you were being clever. 16GB flash drives "just doesn't hold enough." you're looking for", when you talk to people. You write "text" in blocks of "140 Characters." You have an LCD monitor 20" or greater, or a multiple monitor setup. You have more friends in the ‘virtual world’ than in real life! You have a computer server at home... which has a name... in the basement... of your parents' house…..which is called your "Command Center” or NORAD (after watching WarGames)... extra Geek points if your home server is named: W.O.P.R. or HAL. You have a junkyard full of extra computer parts in your garage. You built your own PC and giggle when people tell you they have a Dell or HP computer. You carry a USB flash drive in your pocket regardless of where you go (not just work). Friends, family and family friends' friends, call you asking for computer help. You are fluent in the Klingon language. You have a cable internet connection but would like a T-1 line if it was reasonably affordable. Red Bulls and frozen dinners are a daily part of your diet. World of Warcraft is constantly on your to-do list. You have four (or more) computers at your house, and it "just isn't enough." You've ever used "12345" as a password and thought you were being clever. No matter how fast your computer turns on, it still isn't "fast enough"… even if it is just waking up from a sleep mode. You loathe people who buy iPods, iPhones, or iTouches just because they are the hip things to own. You secretly covet having an iPod, iPhone, or iTouch - but are too embarrassed to own one because of what your geek friends would think. You have major farmer’s tan! You own five or more useless gadgets that run off your USB ports. Your "laptop" with its massive 20-inch screen weighs more then your "desktop computer."